Mushfiqur Rahim has captained Bangladesh cricket in 34 Tests since 2011. Mushfiqur Rahim has declined to step down as captain after Bangladesh’s demoralising 2-0 Test series defeat in South Africa, instead leaving it to the country’s cricket board to decide on his future. The long-serving Bangladesh skipper has come under heavy criticism for the two heavy losses with critics questioning his decision to field first on batting-friendly pitches in both Potchefstroom and Bloemfontein. “When the team does really well, all the credit goes to the management and when we are not doing well, all the blame comes to the captain. I can take it,” Mushfiqur told reporters after South Africa won the second test by an innings and 254 runs on Sunday. “Obviously all the blame comes to me being the captain. The board will decide about me, since there’s a lot of time before the next test series. The 30-year-old wicketkeeper-batsman has captained Bangladesh in 34 Tests since 2011. Bangladesh Cricket Board (BCB) president Nazmul Hassan was another to express surprise at Mushfiqur’s decision to field after winning both tosses, with the skipper saying he had always tried to lead the team from the front. “Captaincy is always challenging, more so in a team like ours. 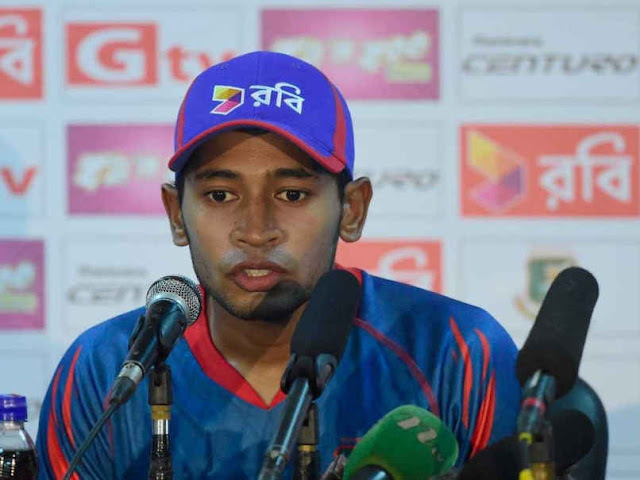 We are ranked number nine or 10 always, so there’s a lot of pressure playing against top sides,” Mushfiqur added. “The last two tests didn’t go as the last couple of years have gone. “The blame is coming at me, because I decided to field first in both tests. Maybe I haven’t been leading properly and that’s why the team isn’t doing well. Bangladesh are currently ranked ninth but have emerged as a strong force at home, picking up maiden test victories against England and Australia in the last 12 months. Mushfiqur also led the side to a Test victory in Sri Lanka in March.